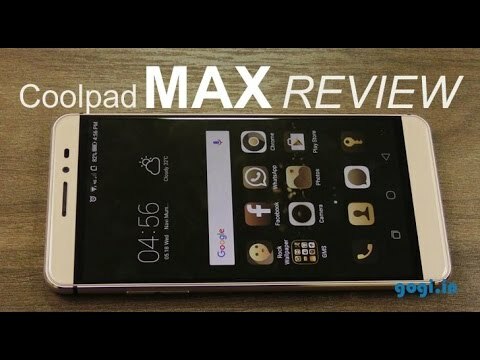 If you own Coolpad Max A-8, please do leave your feedback too. Lowest price of Coolpad Max A-8 price in India starts at Rs. 10,990 Coolpad Max A-8 is available on Amazon at Rs. 10,990. Prices updated on 24th April 2019. After the rousing success of the Coolpad Note 3, the Coolpad Note 3 Plus and the Coolpad Note 3 Lite, the Coolpad Max is the first Coolpad smartphone in India to drop the Note 3 moniker. The smartphone stays true to its name and is a phone that features a large display making it useful for a lot of content consumption. The Coolpad Max comes with a full metal body with an Aluminum alloy back. From the rear the device looks like a cross between the Huawei Nexus 6P and the iPhone 6s Plus. The front of the phone features a 5.5inch Full HD display with a sharp contrast ratio. This is protected by Gorilla Glass 4 and has a 2.5D curved glass just like the iPhone 6s, which makes swiping from the edges a pleasure. The Coolpad Max is a slightly heavy device at 172 grams. It is powered by the Snapdragon 617 chipset and has 4GB of RAM. While not being the absolute top of the line processor, the Snapdragon 617 is a very decent mid-range SoC. The phone features a fingerprint scanner on the back for quick and secure unlocking. The rear camera on the Coolpad max is a 13MP ISOCELL CMOS sensor while the front facing shooter is 5MP. You do have a dual tone LED flash on the back of the device to assist you when shooting in low light conditions. On the storage front, you have 64GB internal storage as well as a MicroSD card slot thanks to the hybrid SIM card slot that the device comes with. However, the device can only support up to 64GB of card, which is a bit of a bummer. The Coolpad Max features a 2800 mAh battery, which is a non-removable unit. You can expect the phone to last you a complete day without major hassles. On the connectivity front, you do have Dual SIM connectivity where both the SIMs are 4G supported and have Dual Standby. Since the SIM slot is a hybrid slot, you can either use two SIM cards or one SIM card with one MicroSD card. Usual set of connectivity options like WiFi, Bluetooth, GPS etc are included. The Coolpad Max at its price is a close rival to the Xiaomi Mi5, which features a more capable Snapdragon 820 chipset. There is also the Nexus 5X with stock Android available in similar price range, though the Nexus does not not have expandable storage. You can also make a case for the OnePlus 2, which although better spec’d than the Coolpad device, lacks a metallic body.